Don’t panic at the bar. You are the customer, take your time and make sure the staff show you the full range of drinks. Ask for low-alcohol and non-alcoholic beers and wines. See what non-alcoholic drinks they can make you from their cocktail ingredients. If you are a regular, ask them to stock your favourite. Paying more attention to your non-drinking customers is good for business. The market is changing, and serving a better range of non-alcoholic drinks is good for all your customers. Pubs and bars already have lots of conditions that impact on their business, and it looks like there could be more in the future. It would be in the interests of the hospitality sector to work collaboratively to innovate ways to promote sensible drinking that fit with business needs. Sharing good practice within the sector can help disseminate creative solutions that can be replicated to fit every type of venue and at a price that suits customers. There is no shared understanding of what “promoting sensible drinking” means, or a standard that defines what ‘good’ looks like. There is an opportunity to clarify this, and use the concept to create real change in the behaviour of licensed venues. 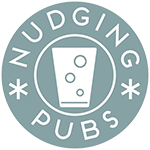 Licensing conditions can force some change to take place, but letting pubs and bars, together with their customers, design, rate, and reward solutions will lead to better engagement, and make it more likely that sustainable change will happen.